An excellent pub off the Dereham Road about a mile or so west of the city centre. Many people regard this pub as the best in Norwich as there's always an impressive selection of very well kept real ales on offer, often over 20. They also serve real cider too. 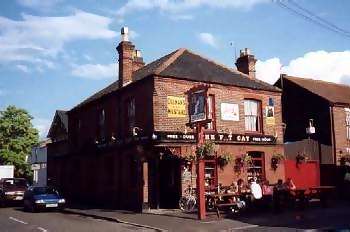 The pub won the prestigious CAMRA National Pub of the Year award in 1998. Many of the beers are available straight from the the cask in front of your very eyes. A great pub to go for a chat as there's no distraction from those awful machine things and 'naff' music they seem to force into your ears in many hostelrys. They've got their own website now too.